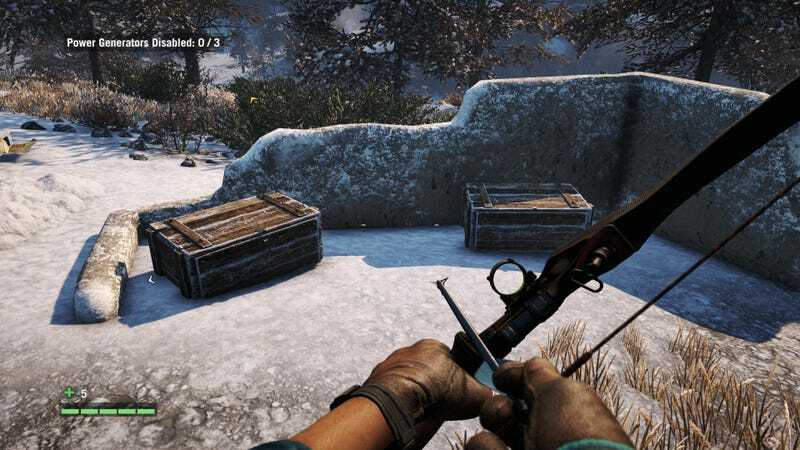 If you're playing Far Cry 4's Valley of the Yetis DLC, you probably want to upgrade your holsters. You'll need Malayan Tapir hides, but those animals aren't on your map. Happily, you can find four hides in a crate near your base camp. I'm still playing through the DLC to write something more substantive about it (generally speaking: it's fun!) but I spent a while in the early goings wondering how to get that first holster upgrade. Hopefully this makes things easier for anyone else out there who's playing.